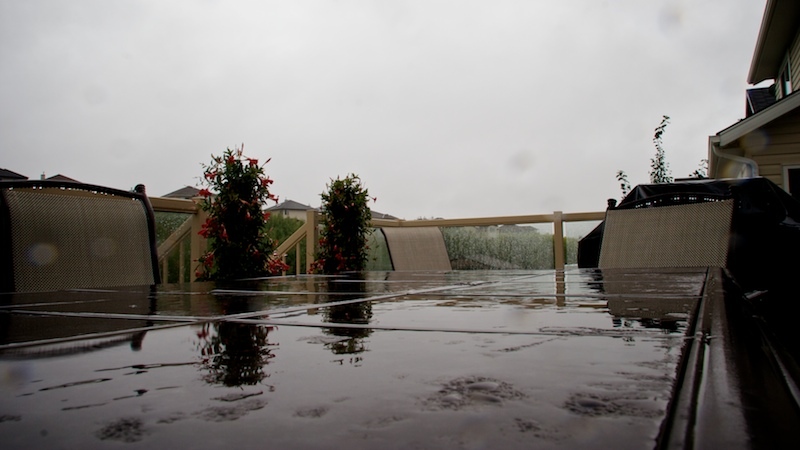 24 hours of rain, which is unusual for Calgary. 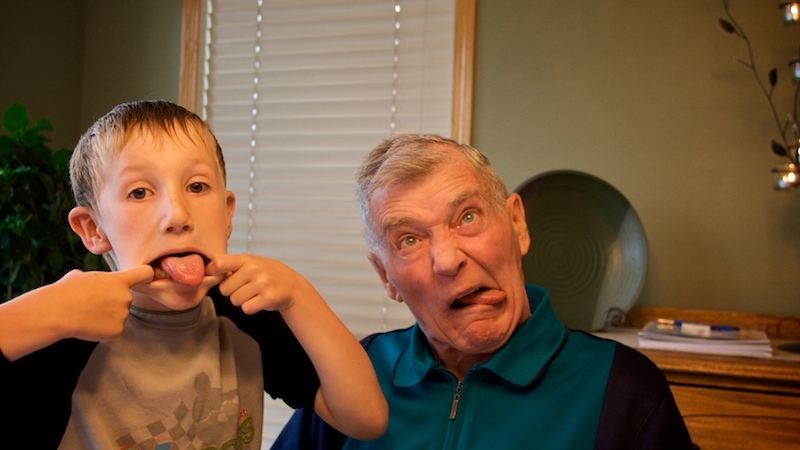 Evan and Grandpa acting silly during supper for Grandpa’s 73rd birthday. 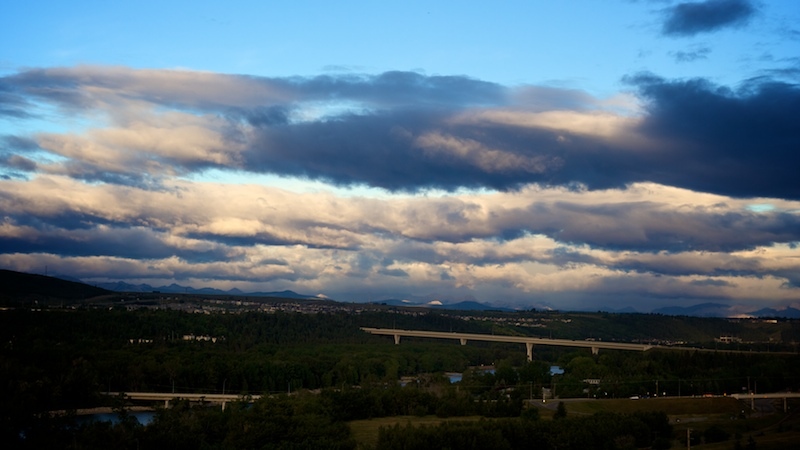 Light from sunrise is reflected off and through the clouds to the west of Calgary, over the Rocky Mountains and the Bow River valley.